Two decisions involving the judiciary will be closely watched not just by the legal community but the country as a whole in the next two weeks. One is the “show-cause” order by the Supreme Court to 37 faculty members or lecturers of the UP College of Law, led by Dean Marvic Leonen and Prof. Harry Roque, one of the two lawyers who brought the petition of the comfort women to the High Court earlier. The SC’s decision to deny the comfort women’s petition, penned by Associate Justice Mariano del Castillo, was subsequently protested last July by Roque and co-lawyer Rommel Bagares, for allegedly having lifted parts from the works of three international legal experts without proper acknowledgment. The SC, upon receipt of the charge of “plagiarism,” referred it to the Committee on Ethics & Ethical Standards that the Court had set up last May as a self-correcting mechanism. The Committee subsequently established the “inadvertent” lifting of the passages. A law clerk-researcher of the ponente, who was recruited from a prominent Makati law firm and onced ranked within the top five in the bar exams, later owned up to failing to make the proper attribution of sources in the final draft of that decision. The Committee concluded that Del Castillo was bereft of “malicious intent,” and last Oct. 15, the SC in a per curiam decision (so-called to show it’s the entire court and therefore with no specific author), voted 10-2 to exonerate him. The two who voted against Del Castillo's exoneration were Justices Conchita Carpio-Morales and the first justice appointed by President Noynoy, Ma. Lourdes Sereno (Senior Justice Antonio Carpio and Justice Diosdado Peralta were on leave at that time. Del Castillo naturally abstained from voting). Sereno’s dissenting opinion proved longer than the 30-page per curiam decision, so much so that Carpio Morales chose to merely attach her signature to it, rather than write a separate dissent. 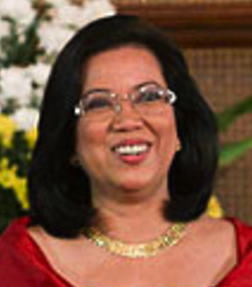 Sereno, who at age 50 could become the first woman SC Chief in the future because of her possible length of service, dwelt on the adverse effects of the exoneration on the academe, where plagiarism is a common sin; but she also devoted a large portion to detailed analysis of what she considers the impossibility of innocent deletion in today’s highly efficient computer technology. It amazes that she could be so techie-analytical. But instead of fading quietly away after the SC issued that per curiam decision, the controversy even thickened when in the two months that the ethics committee was investigating the plagiarism charge, a manifesto was circulated in the media demanding no less than the justice’s resignation---to save the Court’s reputation, the signatories said. The manifesto grabbed a lot of media attention because the signatories were all from the UP College of Law faculty, including former law deans. The media pitted the SC and the UP Law against each other in their usual sensationalist slant. But the Court decided to turn the tables on the critics with a “show-cause” decision of 10-3, penned by Justice Martin Villarama (who also recently headed Court investigation into the De La Salle bar exams bombing). Not surprisingly, the three justices who voted against the decision were the three UP Law graduates: Carpio, Carpio-Morales and Sereno. The show-cause decision ordered disgruntled UP law signatories to individually explain within ten days why they ought not to be cited for indirect contempt, for allegedly having violated several canons of the Code of Professional Responsibility of Lawyers, including the fact of subjudice which lawyers normally respect. SC spokesman Midas Marquez also denounced the “dummy” manifesto and alleged “plagiarized” signatures, including that of retired Justice Vicente Mendoza. Presumably the signatories are preparing their responses to the SC show-cause, for as all lawyers know, something like this would sow fear in the heart of every lawyer. In the eyes of the Court a misdemeanor could merit punishment in varying degrees----from being slapped a fine, or a suspension from practice, or outright disbarment. Or the Court could really just want an explanation---and then write finis to the whole taxing controversy. Media are playing up the split of support among the legal community and the earlier factional rifts in the Court. Various bar associations have come out for one side or the other. 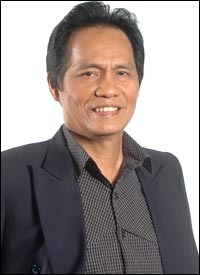 The Ateneo Law School, alma mater of Chief Justice Renato Corona and Justice del Castillo, hasn’t come out with a stand, but San Beda Law School, led by former Sen. Rene Saguisag, has supported its embattled undergraduate alumnus Del Castillo (Saguisag has openly reduced the plagiarism accusation to a “shortcoming” in the absence of malice). UE Law Dean Amado Valdez, in a recent TV interview, defended the UP law faculty’s right to scrutinize the SC’s ruling on Vinuya as part of the democratic process. “It’s within the right of anybody, not just from UP or Ateneo, to take a separate position on the issue of plagiarism,” said Valdez. The show-cause order could indeed define new limits of expression for that most verbose and voluble species among God’s two legged creatures---the lawyers. Where do I stand in all this? I can understand the valid anxiety of Harry Roque and other law professors about the tarnishing of the Court’s image in the eyes of the people and the world forum, and the threat to lawyers’ freedom of expression. Meilou Sereno’s concern about the impact of the plagiarism accusation on the academic community is valid. 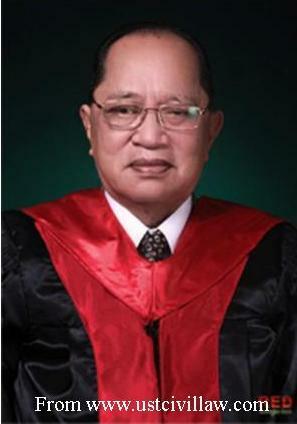 But I also know Justice Del Castillo, a respected former member of the Court of Appeals, and I strongly believe he is a good and honest man who has been purified in the smithy of a number of sufferings in his life, and that he would never KNOWINGLY steal words and ideas from others, or deliberately allow it to happen in the Court. The SC has in decades past been accused of improprieties, such as the commandeering of a submitted opinion of a private party in a case as its own decsion, and the interference by a justice for a relative in a bar exam (regarding this latter issue, the SC was absolved in the recent exams, for two sons of current justices passed the exams while another son of a justice colleague failed and will try again next time). Hopefully this current painful episode of plagiarism would teach the Court to be more circumspect about its decisions. More intense work, deeper scholarship and fervent contemplation---and yes, prayers to the Holy Spirit will help. One word about CJ Renato Corona: he upheld Del Castillo even when it was not the most popular thing to do, because he apparently believed in the honesty of his colleague; it speaks volumes about this Batangueno Chief Magistrate’s inner strength and conviction. The other judicial case being closely monitored and due this Thursday, is the promulgation of the decision by Judge Oscar Pimentel of the Makati Regional Trial Court on the case of military rebels led by Sen. Antonio Trillanes. The decision on the question of whether Trillanes and company are guilty of treason or not comes after seven long years in court. What makes Pimentel’s impending decision so interesting and crucial is that the President of this country weeks back had proclaimed amnesty for Trillanes and some 300 other rebels, which would clear them of any political crime against the state; all that’s needed now is the concurrence of both chambers of Congress, which is expected first thing upon its return from the All Saints Day recess on Nov. 8. Because of the President’s amnesty proclamation, there have been tremendous pressures on Pimentel from politicians eager to please President Aquino, for the judge to desist from making a decision on the Trillanes case---or at the very least, to postpone it until after the amnesty process is completed. But Pimentel has declared that nothing would stop him from making his decision this Thursday. He doubtless realizes that his ruling AFTER amnesty becomes a fait accompli would be totally inutile.. But if there's a lot of pressure on Pimentel to postpone his judgment, a lot of voices were also raised from various quarters, including the media, asking the President and Congress to allow him to do what he has to do first, so that the judicial process would be finished, before the amnesty grant. Aside from Sen. Joker Arroyo, the lone dissenter on amnesty in the Senate, the most significant plea to delay amnesty came from the State Prosecutors. They decried the seven years of hard judicial work they had done that would be laid to waste with amnesty now. The most outspoken in this group was Senior Prosecutor Juan Pedro Navera, who now also worries about what amnesty would do to all those who came forward as state witnesses against the military rebels. In fact he wonders now if they will still remain in the witness protection program. Citizens salute Mr.Navera and the other prosecutors for their bravery and outspokenness. It’s easy to see that the President’s action of hurrying up the amnesty before Pimentel arrives at a judgment is designed to please the military rebels, who understandably don’t want a conviction in their record, even if they would enjoy amnesty later. 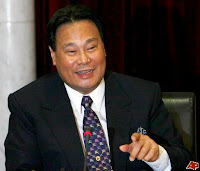 Many people are praying that the judge does not cave in to political pressure; considering that he is retiring from the bench this coming January, they pray that he'd leave as his legacy to succeeding generations of judges the fact that he followed the dictates of his mind and heart, and not that of cheap politicians.